“There’s been a conscious effort on behalf of biotech companies to confuse people, saying that farmers have been using genetic modification for generations,” says Jeffery Smith, founder of the Institute for Responsible Technology and author of Seeds of Deception. The difference between GMO and hybrids is that with hybrids, plants have been crossbred to create a plant with the best features of both parents. According to the World Health Organization, Genetically Modified Organisms on the other hand are “organisms in which the genetic material (DNA) has been altered in such a way that does not occur naturally.” “The process involves using randomly inserting genetic fragments of DNA from one organism to another, usually from a different species.” That could mean that some of our food can even contain human DNA. One other major difference between the two: Hybrid seeds are allowed for use in organic production, while GMO seeds most definitely are not. 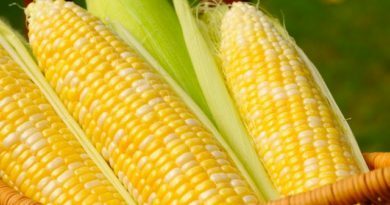 South Africa is the only country in the world that has a staple food produced using GMO, more than 70% of our maize is genetically modified. Other crops are soya and cotton in South Africa. GMO’s have never been proven to be safe for human consumption. No human tests have ever been done as it is deemed unethical! Safety assessment of GM foods has been based on the idea of “substantial equivalence” such that “if a new food is found to be substantially equivalent in composition and nutritional characteristics to an existing food, it can be regarded as safe as the conventional food.”However, several animal studies indicate serious health risks associated with GM food consumption including infertility, immune dysregulation, accelerated aging, dysregulation of genes associated with cholesterol synthesis, insulin regulation, cell signaling, and protein formation, and changes in the liver, kidney, spleen and gastrointestinal system. Do we know which foods contains GMO’s? No we don’t because our food labeling in South Africa is so inadequate as retailers are not adhering to the GMO labeling law amended in 2014. A packet of maize that would almost definitely be GMO still has the label “May Contain GMO”. Most of our gluten-free products contain GMO due to the soya and maize substitution of wheat in these products. Products that are sold in health stores and online health stores need to be verified since much of our soya and maize are genetically modified crops. Also read bread labels to see if they contain soya or other known GMO ingredients. “The proposed amendments convey the clear intention of government that the food industry must now step up to the plate and label their products,” said Mariam Mayet, Director of the African Centre for Biosafety (ACB), which has been actively working to protect Africa’s food systems from privatization, industrialization, and genetic engineering. The amended labeling law states that foods containing 5% or more of GM content must be labeled as containing GMO’s. This 5% threshold was chosen out of commercial considerations. As consumers we should demand the right to know all the contents of our food, even if less than 1% content. Many retailers and manufacturers continue to disregard this law, as they are yet to correctly label their products. Are they waiting for consumer pressure to make the changes to their labeling? According to the United Nations, by the end of the century the world could have an extra 3 billion people to feed. Is GMO food the answer to the worlds’ food burden? If we consider that the global study by the London-based Institution of Mechanical Engineers recently reported that half the food produced worldwide is being thrown away then surely the answer is not more food but better food policies? There is obviously enough food to feed everyone. Simply put, greed in the food chain has stopped the hungry from obtaining nutritious and affordable food. People are starving not because there is not enough food but because deficiency of distribution. GMO seeds have an inborn gene to not produce seeds, which allows Monsanto the monopoly on food; they can decide who will grow what and when. Farmers are forced to continue purchasing from them. Is meddling with the genetic make-up of our food the answer? Before you say we have been modifying our food sources for decades, let me say yes we have and that is why we have and increase in food intolerances and chronic health issues caused by the way food is produced. For example, 50 years or so ago, wheat contained only five percent gluten, today it has risen to up to 50 percent gluten content. It’s only been post World War II, that wartime chemicals and technologies have found new uses in agriculture. ← GMO Foods. What is the role of our Supermarkets?